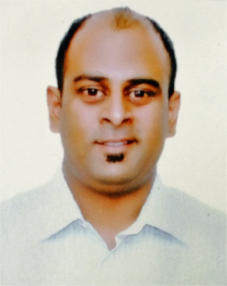 Aashish has over 10 years of experience in Wealth Management, Financial Planning, Retail Banking & Commercial Banking. Till recently, he worked with Citibank, New Delhi as a CitiGold RM managing relations across New Delhi and Gurgaon with a cumulative AUM of more than Inr 100 crs. Prior to Citi, Aashish worked with HSBC Premier, Religare Macquarie Wealth Management, Kotak Securities. Aashish has consistently been an over-achiever, ranked amongst the top RMs in each organisation he worked with, and regular promotions marked his professional growth. He also spent 2 years in Oman working with the largest Omani family office as an Investment Consultant and Distribution Head advising institutional investors on Global Investment products and risk management tools. His experience in financial planning, portfolio management and investments, retail and commercial banking provides necessary skills set and knowledge for managing high net worth private banking clients. A certified AMFI and IRDA license holder, Aashish received his MBA from ICFAI Business School, Mumbai in 2006. He holds a bachelor's degree in Mathematics from Hansraj College, University of Delhi and completed his schooling from DPS, RK Puram. Bond mutual funds are products that fit the bill perfectly when interest rates for FDs are falling. They give you higher returns than banking products, and are also liable for less tax. Is there a cost involved to keep inflation this low? A clutch of grassroots evidence suggests that the data of rock-bottom inflation could be an indicator of an unstable economy in the near future. Evaluating the correct mutual fund for your portfolio. So, how do you go shopping for the right fund? Here are the key factors to consider. With sensex ranging around 32K levels this is what you should be doing with your equity mutual fund investments. Financial planning is the process of defining one’s futuristic goals to be achieved by properly managing savings and investments. Check out our tips for Do It Yourself (DIY) financial planning and investments planning. Mutual Funds is one of the most misunderstood and incorrectly perceived products in our country. Let's not get bogged down by fallacies about mutual funds.